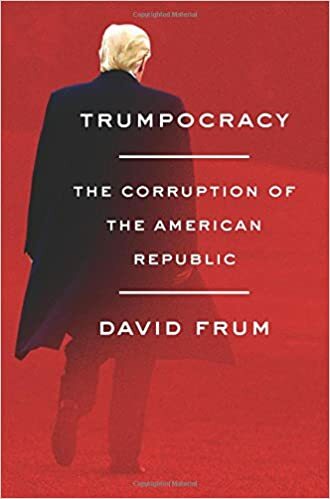 “The crisis is upon Americans, here and now,” Mr. Frum asserts in only the fourth paragraph of his new book, which carries the foreboding subtitle The Corruption of the American Republic. For the next 235 pages, Mr. Frum sets out his case against Mr. Trump, his worldview, his associates, his supporters, his enablers, his funders and his publicists. The result is a breathless but also breathtaking compilation of the mendacity and mistakes of the first year of the Trump ascendancy, a J’accuse for the second decade of the 21st century, a dark portent for the future – and a warning that despotism doesn’t necessarily begin with violent disruption. His White House entourage, Mr. Frum argues, consists of a toxic combination of “bad people” and “weak people.” Plus this: “The Trump White House is a mess of careless slobs.” Mr. Frum has special enmity for conservatives he believes should have known better, for congressional leaders he believes should have stood stronger and for Republicans who should have thought harder about the man – hardly a conservative, contemptuous of congressional leaders, barely a Republican – to whom they delivered their greatest and most coveted prize, the Republican presidential nomination. Too late for that, of course. While generally deriding or mocking TrumpWorld’s assault on the press – an especially raw topic both for writers of books and reviewers of them – Mr. Frum nonetheless sees the media as an unwitting accomplice to Trumpocracy, an unfelicitous but perhaps enduring term. “The traditional media’s commitment to ‘both sides of the story,’ ” he argues, “created within them an insatiable internal demand for positive comments about a president for whom there was otherwise so little good to say.” That is a topic for another book, and surely there is one – no, several – in the works. Watch this space. The isolationist President is himself isolated, a notion that even his staunchest defenders have not been able to wipe away. He is, in Mr. Frum’s view, “locked in a tiny circle by his distrust of outsiders.” In this – the isolation, not the isolationism – Mr. Trump is not alone, and here Richard Nixon comes to mind. And George W. Bush. And Barack Obama. And probably Mr. Trump’s successor, too, whenever that might occur. It’s an occupational hazard, even – perhaps especially – for populists. Through all of this – and truly this is a dark read – Mr. Frum does harbour some hope, a kind of Newtonian third law of physics applied to politics, with every Trump action inspiring an equal and opposite Resister reaction. “A new spirit of citizen responsibility,” Mr. Frum says, “is waking in the land.” If so, Mr. Frum may be remembered as one of the trumpeters playing Reveille. Posted in Book Review, Books, Character and Integrity, Democracy, Donald J Trump, Foreign Policy, Freedom, Governance, Leadership, Politics, Rule of Law. If the Republicans have contained the president at all, it’s because they agreed to shield him from investigation. These numbers illustrate one of the most defining features of the current political era: the durability and intensification of Trump’s bond with the Republican Party. Over the course of his first year, Trump and the GOP have become one. Abandoning his many unorthodox stances as a candidate, Trump has adopted the policy agenda of conventional conservative Republicans, and in turn he’s been rewarded with the nearly unwavering support of the Republican base and the congressional GOP. If Beutler thinks Rauch and Wittes offer a solution insufficient for the scale of the problem, the conservative New York Times columnist Ross Douthat believes the opposite. According to him, the Republican Party isn’t tainted by Trump’s bad deeds, but deserves credit for successfully containing a dangerous President. Some of these are debatable, especially on immigration. Trump hasn’t gone as far as he wanted to, thanks in large part to the courts, but there is a limited Muslim ban of sorts and Immigration and Customs Enforcement is out of control. But the larger problem with Douthat’s argument is that it ignores that the partial containment of Trump has come at a heavy price. The Republicans in Congress have an implicit deal with Trump: So long as he governs in keeping with the party’s conservative orthodoxy, they’ll protect him from allegations of personal corruption and collusion with Russia. That’s why Republican Congressman Devin Nunes released a deceptive memo designed to cast doubt on Robert Mueller’s special counsel investigation. This protection of the President, by the branch of government tasked with holding him accountable, shows the danger of the fusion of Trump and the GOP. If one accepts Douthat’s claim that the GOP has contained Trump, then one must also accept that the party is complicit in all of the President’s misdeeds—including those that have yet to be verified or unearthed. Trump’s authoritarianism, corruption, and general unfitness for office is manifest to conservative thinkers like Douthat, Republicans on Capitol Hill, and even to those who work for him. And yet most of them, in ways subtle or outrageous, have defended the President. Surely, this has not been lost on voters—a majority of them, the polls suggest. So even those who accept the optimistic case that Trump has been contained will have every reason to support the conclusion that the Republican Party as a whole must pay for its collusion with the President. Posted in American Politics, Character and Integrity, Democracy, Donald J Trump, Foreign Policy, Governance, Human Rights, Leadership, Rule of Law. If you were to talk to the average wage earner in the civil service or the armed forces, you would understand that even with all the “benefits” they receive, they are still struggling. And this was just five years ago. Does anyone really think that things have improved? Now some folks may wonder that if the wage earners of the state are struggling, what more the average citizen – Malay and non-Malay – who do not have the safety net provided by the state? If you are non-Malay, you pay double when it comes to not having a security blanket. While the opposition rightly worries about the armed forces postal votes and military base votes are suspect – that old Stalin rejoinder of the people counting the votes are more important than the ones casting their votes – the reality is that there are many people, those who have left the armed forces or are in the process of leaving, who understand that there is something very wrong with the way how this country is governed. Mind you, they are not too concerned about all those fancy principles that opposition political parties like to throw about but what they do understand is that their lives are affected by the way how this country is run and no amount of pandering to race and religion can alleviate their problems. The same applies to the civil service. One mid-level bureaucrat was pissed off that the MACC was going after small fish when the sharks were allowed to feed from the trough without any action from the state. This, of course, was unfair to the “average” corrupt small fish but was also demoralising to those civil servants who actually wanted to do their job. This is the reason why the UMNO hegemon is busy reminding Malays in the Civil Service and the Armed Rorces that they should be loyal to the government. This is why a whole range of initiatives are mooted to dissuade the civil service from voting for anyone other than UMNO. 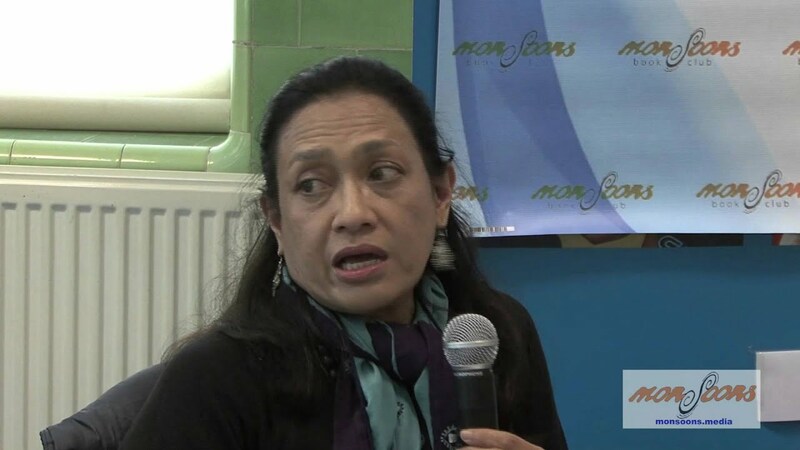 However, all these promises amount to a hill of beans because if anything, while the standard of the civil service has improved over the years, the agitation brought by the class dialectic of the opposition, the religious propaganda of PAS and the split in the Malay vote, has made traditional vote banks open to opposition intrusion. Posted in civil society issues, Corruption, Democracy, Ethics, Governance, Kleptocracy, Law and Order, Liberalism and Open Society, Malaysiakini, Malaysian Civil Service, Meritocracy and Competence, Najib Razak, Public Accountability, Rule of Law, UMNO. Malaysia’s richest man Robert Kuok, who lives in Hong Kong, is currently under attack by not only half-past-six UMNO-Malay warlords but also from Prime Minister Najib Razak personally. The latest attack against the 94-year-old billionaire Kuok came from Tourism and Culture Minister Nazri Abdul Aziz, arguably Mr. Najib’s top mad dog. It’s no coincidence that the notorious Mr. Nazri was unleashed just a day after his boss – PM Najib – raised eyebrows when he specifically targeted Robert Kuok in a speech, claiming that the government had provided him with the key to become the “Sugar King”. Prior to that, Tajuddin Abdul Rahman, another UMNO-Malay racist, had warned Kuok not to forget his roots. People familiar with the government SOP (standard operating system) knew instantly this is nothing but a political drama to divert attention. The only change to the script was replacing the victim with Robert Kuok. Of course, Kuok, the man worth a staggering US$15.4 billion, didn’t become rich because of Malaysian government’s handout, but through his own effort. Najib talked as if Kuok became super-rich overnight because the government gave the Chinaman a winning lottery ticket. 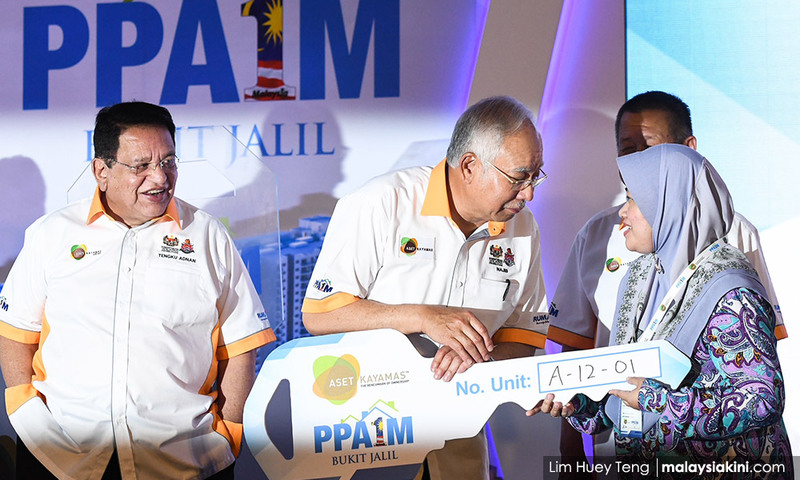 The Prime Minister argued that because the government gave Kuok the concession to trade sugar in the country, Kuok must forever become a slave and pro-UMNO. Of course Kuok needed a license to operate his business otherwise it would be illegal, would it not? And from where do you think Kuok needed to apply his concession license if not from the government? Had Kuok failed in his sugar and rice trading business, would Najib proudly take the blame as well? Going by Najib’s idiotic logic, people who make money in stock market should be thankful and grateful to the government for setting up stock exchange and allowing stock trading. On the contrary, it was Malaysian government which should be grateful to Robert Kuok because without him, the government’s coffer would not be flushed with more than 50% in taxes. In the same breath, it was because of excessive taxes that the billionaire finally decided to move to Hong Kong in 1974, forming Kerry Holdings Ltd with a capital of HK$10 million. In case Najib and his band of mad dogs have forgotten, Kuok was also the man instrumental in setting up of MISC (Malaysian International Shipping Corporation), Bank Bumiputera and even PERNAS (National Corporation). Of course, when MISC and Bank Bumiputera fell into the hands of parasites like UMNO-Malays, they either went bust or needed massive bailout. Kuok had begun his trading business years before the dawn of the NEP (New Economic Policy) era. He made his fortune by creating a niche in sugar and flour refinery, trading and hotels. The government did nothing but watch and collect taxes. And Najib’s shameless father had the cheek to demand free shares – first 20%, follows by another 20% – from Kuok’s MISC. It’s pathetic that Najib’s henchman, Nazri has challenged the 94-year-old billionaire Kuok to contest in the coming general election. 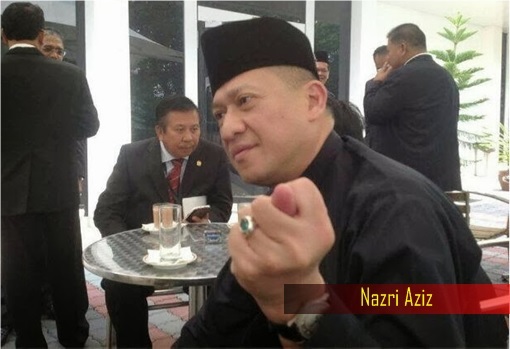 Mr. Nazri, known for this thuggish and poor upbringing, also called the Hong Kong-based tycoon a “coward with no testicles.” He also demanded Kuok to surrender his Malaysian citizenship. Actually, Nazri should instead ask his boss Najib to strip Robert Kuok of his citizenship – if indeed the prime minister has balls at all. Then, the UMNO parasites could seize all of Kuok’s assets in Malaysia – easily worth tens of billions of US dollars – and then divide the wealth among those thieves of UMNO, as they would normally do with their ill-gotten money. The question is – do Najib, Nazri, Tajuddin and other UMNO scumbags dare to rob Kuok of his citizenship and wealth? Why don’t Najib arrest Robert Kuok and use the Kangaroo Court to charge him for trying to overthrow the government? Heck, they can even throw in accusations of insulting the Malays, Islam and Agong (King) too. Clearly, they don’t have the balls to do so. The simple fact that Nazri told Kuok to “surrender” instead of commanding the government to “strip” the billionaire’s citizenship, the same way they would normally do to ordinary people, speaks volumes about Nazri’s cowardice. Like it or not, they knew Robert Kuok is untouchable. That’s because Kuok has a very close relationship with Beijing. In fact, stellar tycoon Robert Kuok is President Xi Jinping’s most trusted man in the country – although braggart Najib son of Razak would like to think the Chinese president likes him more. Kuok was such a respectable man in China that his meeting with paramount leader Deng Xiaoping was the last official meeting granted by Beijing before the Chinese leader stopped accepting visitors. The respect for Kuok continues even after Xi Jinping took over. When China setup its first university abroad, the Xiamen University Malaysia Campus, at Salak Tinggi near Sepang, Robert Kuok donated RM100 million for its construction. And when Xi Jinping attended the China-Malaysia Economic Summit in Kuala Lumpur in 2013, who do you think accompanied the Chinese leader? Well, it was Robert Kuok, of course. And if you think President Xi is another pariah Chinaman, think again. China’s governing Communist Party has just proposed removing a clause in the constitution which limits presidencies to two five-year terms. Essentially, President Xi Jinping is on the path to become more powerful than Donald Trump, or even Vladimir Putin. Xi can now extend his presidency beyond 2023 and he can actually rule for as long as he wishes to. When a delegation of 70 of the richest and most influential figures in Hong Kong flew to Beijing for a visit with Xi Jinping in 2014, the first of its kind since 2003, Robert Kuok was invited too where he brought along his son Kuok Khoon-chen. Obviously, Kuok’s influence with the Chinese leaders in mainland China cannot and should not be underestimated. Unlike ungrateful UMNO-Malays such as Najib Razak, Beijing is still grateful to the renowned Sugar King, who secretly helped China overcome a severe sugar shortage in the early 1970s. The Chinese government’s trust and affection for Kuok didn’t stop there. Whenever Chinese leaders visit Kuala Lumpur or Singapore, they deliberately choose to stay at Mr. Kuok’s Shangri-La hotel and that includes former president Hu Jintao and subsequently his successor, Xi Jinping. Even Najib’s former Special Envoy to China, ex-MCA President Ong Ka Ting, had to seek blessing from Kuok on certain crucial matters. That’s why Ong Ka Chuan, the elder brother of Ong Ka Ting, panicked and came out of hiding to defend Robert Kuok. Mr. Ong knew the allegations over Kuok’s funding for opposition parties were baseless and dangerous, even though playing the racial cards could rally the Malay votes for his boss Najib Razak. He also knew it could jeopardise Kuok’s funding for MCA. 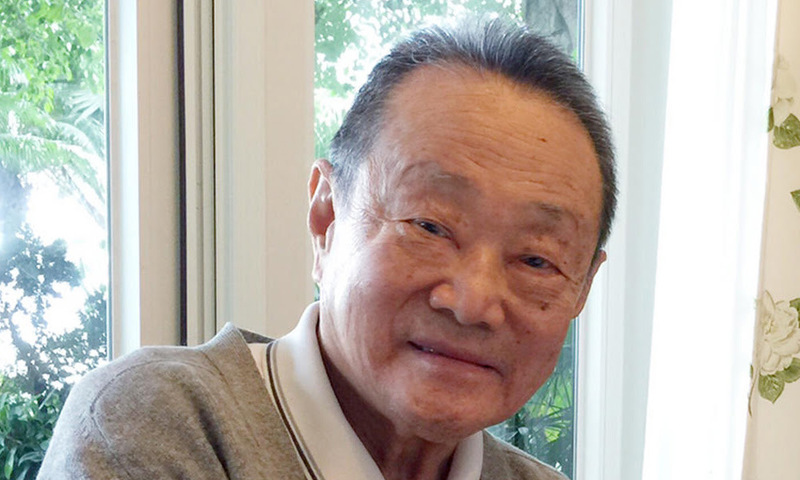 Go ahead, attack Robert Kuok like a mad dog. The stunt may backfire and instead rally the Chinese voters (who have otherwise decided to abstain from voting) to come out and vote in droves again for the opposition parties. Najib and his boys should be careful what they wish for. The personal attack on Kuok could be seen as an attack on Beijing, which may lead to retaliation. With European Union boycotting and banning the use of palm oil in biofuels, producers such as Malaysia should not think with their toes about declaring a war with China’s most trusted man. An offended Beijing could simply send hints of stopping the import of palm oil from Malaysia. That would have marvellous effect on Felda settlers and stock prices. When Najib unleashed his Red Shirt thugs with an intention to terrorize the Chinatown at Petaling Street in 2015, China’s Ambassador to Malaysia Dr Huang Huikang deliberately paid a short visit to the Chinatown, sending a message to Najib regime that China would not tolerate violence, let alone bloody racial riots targeting the Chinese community. And now, the son of Razak foolishly tries to insult and threaten Robert Kuok, the single most trusted adviser of President Xi Jinping on Malaysian matters? If a state leader like Najib dares to intimidate an influential figure like Robert Kuok, imagine what the bully has been doing all these years to the ordinary Malaysian Chinese folks, who pay 90% of the country’s taxes. 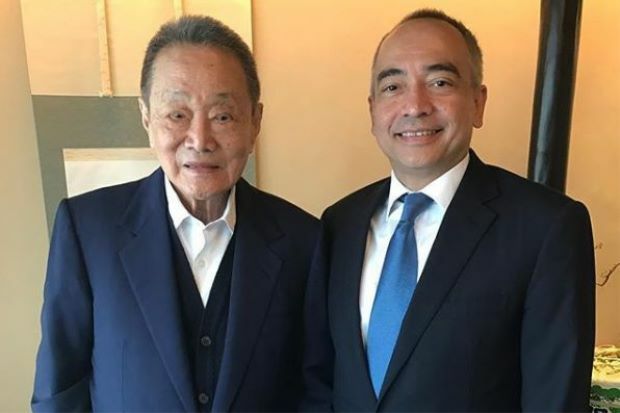 But wait, what about the photo of Robert Kuok’s nephew, James Kuok, having group photo with opposition party DAP as published by Najib’s top-paid fake news blogger Raja Petra Kamarudin? Simple – James could be there just to assess, on behalf of China, the types of foreign policies that the opposition would adopt should Pakatan Harapan (Hope’s Alliance) win the election. Get real, do you think James would be so stupid that he took photos after handover bags of cash to the opposition party? But even if Beijing wanted Kuok to fund the opposition for the sake of hedging and protecting its interests, what’s wrong with that? After all, Najib himself told Vincent Tan to pay former opposition Hee Yit Fong RM25 million to defect, causing the collapse of Perak state government. 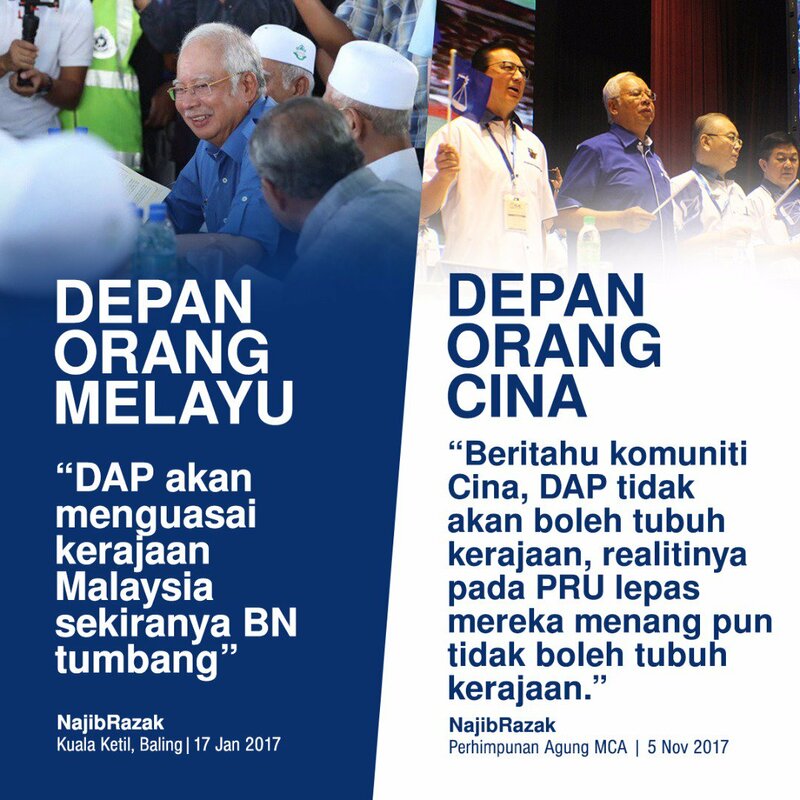 Posted in China, China-Malaysia Relations, Diplomacy, Foreign Affairs, Foreign Policy, Malaysia, Najib Razak, Politics, UMNO Politics, Uncategorized, Xi Jinping. The Chinese Communist Party (CCP) has traditionally rooted the legitimacy of its autocratic rule in the principle of institutionalization: it is the Party, and not a particular person or family, which holds the reins of power for, ostensibly, the benefit of all 1.4 billion Chinese. 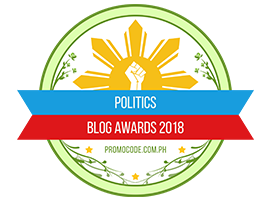 But that already specious assertion took a severe knock on Sunday following the publishing of a proposal — one certain to be ratified next month — that China’s two five-year presidential term limit be abolished. This will essentially allow current President Xi Jinping, who is already China’s strongest leader for generations, to remain in power for as long as he desires. The move is the culmination of a series of power plays by Xi over recent months, including having his eponymous political thought enshrined in the national constitution, and failing to appoint any potential successors to China’s apex executive body, the Politburo Standing Committee (PSC). But the timing of the announcement before Xi has even officially completed his first term in office has stunned China-watchers and raised serious questions concerning the governance of the world’s number two economy going forward. Xi’s consolidation of power domestically comes as he has also announced his intention to be more assertive internationally. His signature Belt and Road Initiative — a trade and infrastructure network tracing the ancient Silk Road though Eurasia and Africa — stands to radically boost China’s geopolitical clout at a time when the White House under Donald Trump has questioned key alliances and the very international institutions that have been the foundation of American hegemony. China’s burgeoning influence, augmented by Washington’s retreat into nativist languor, further normalizes autocratic political systems that have been on the rise since the 2008 financial crisis. Beijing has ramped up censorship and clamped down on dissent since Xi, 64, took power in late 2012, coupled with incessant trolling of Western democracy as unstable, unpredictable and unable to deliver the goods. Meanwhile, Trump has launched a war on the American media and toadied up to strongmen from Russia’s Vladimir Putin to Philippine President Rodrigo Duterte and, of course, Xi himself. The question remains whether China is set to repeat past mistakes where unquestioning observance to its leadership contributed to disasters like the Great Leap Forward of the 1950s and Cultural Revolution a decade later. Academics and officials are increasingly reluctant to voice opinions that differ from the Party leadership, which is invariably hailed with gilded paeans in the state press, while critics are summarily detained. Xi should know the risks better than anyone. Like millions of his contemporaries, he was sent down to live in the countryside during the Cultural Revolution of the mid 1960s, reduced to toiling in fields and sleeping in a flea-infested cave in China’s hardscrabble central province of Shaanxi. His father was repeatedly purged by CCP patriarch Mao Zedong, whose unassailable cult of personality wreaked numerous hardships on his people, including the Great Leap Forward, a frenzied experiment in collectivized industrialization that cost some 20-50 million lives between 1958 and 1962. It was because of these calamities that the CCP leadership from Deng Xiaoping — architect of China’s economic revival — introduced collective leadership around the PSC, presidential term limits to ensure a smooth leadership transition, and thus countering a Mao-like strongman ever holding the country to ransom again. But Xi over recent months has taken careful aim at each of these safeguards. Meanwhile, his trademark ideology of the “Chinese Dream” and “great revival of the Chinese nation” has drawn uneasy comparisons with Mao-era sloganeering. The lack of neither elections nor term limits risks such problems returning with a vengeance. And worryingly for the international community, that Xi is brazenly prepared to rewrite four decades of political orthodoxy at home means he would have few qualms about tearing up the rule book abroad, where Beijing has long flouted international norms that it perceives as constraining its interests. Posted in ASEAN, China, Democracy, Economy, Foreign Policy, Freedom, Governance, Human Rights, Leadership, Liberalism and Open Society, Politics, Rule of Law, Xi Jinping. COMMENT | Loyalty and gratitude are two words very much in use by UMNO leaders these days, especially when speaking to civil servants and government pensioners. There are currently approximately 1.6 million civil servants (including teachers, police and armed forces personnel) and 778,894 retirees on the government payroll. They represent a huge and critical voting block for UMNO. Hence the need to both pander to them and cajole them into supporting UMNO. Deputy Prime Minister Dr. Ahmad Zahid Hamidi, for example, said in a speech that pensioners must not bite the hand that feeds them or be ungrateful to the government. After all, he noted, the government had allocated about RM20 billion a year for retirees. He also appeared to suggest that pensioners who support the government are “national assets” while those who criticise the government are a “liability to the country”. The former Menteri Besar of Kedah was an ex-teacher who was rewarded with a Cabinet post for loyalty to PM Najib Razak. 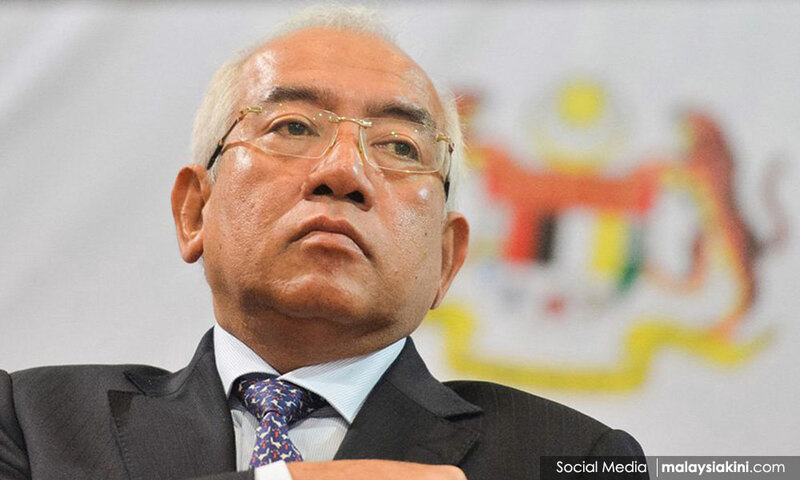 Education Minister Mahdzir Khalid (photo) courted controversy earlier this year when he warned teachers that they risked disciplinary action if they backed or joined any opposition party. Joining BN parties was apparently okay. 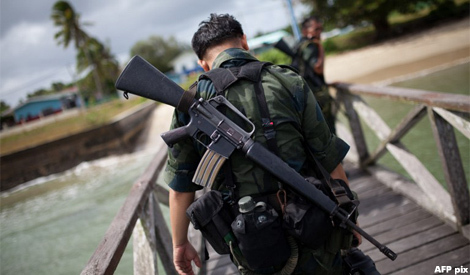 And Perlis Menteri Besar Azlan Man, himself a former civil servant, expressed his disappointment with “a handful of Malaysian armed forces personnel… who oppose the government as soon as their service ended”. He advised them to take up their grouses through proper channels instead of going against the government (never mind that “proper channels” is simply another term for “no further action”). In the meantime, the director-general of the Public Services Department (PSD) said civil servants should be grateful (there’s that word again) to the government for improving public sector remuneration and benefits, noting that the present government had announced various benefits for civil servants including salary increases, promotions, special leave for performing the umrah, maternity leave and the special payment of RM1500. He also urged civil servants not to “destroy the country’s future” (presumably by voting for the opposition). Clearly, there is much misunderstanding about the role and responsibilities of the civil service in a democracy, if we still qualify as one. What is worse, senior civil servants themselves appear to be either confused about their role or have compromised their integrity. Civil servants, as the Sultan of Johor reminded us just this week, “are bound by their oath of office to remain neutral and not take sides”. Their job is to advise the government of the day and then to faithfully execute policies and decisions made by the government irrespective of their own private political affiliations or views. They may not criticise the government or undermine it in any way. If they disagree with the government and are unable to implement approved policies, tradition demands that they tender their resignation. Upon retirement or resignation, they are, of course, free to comment on any policy subject to the provisions of the Official Secrets Act 1972. Ex-service people and members of the Patriots Association are, therefore, entirely within their rights to either publicly support the government or openly criticise it as the case may be. At no time, however, are serving or retired civil servants obliged to pledge their loyalty to the ruling party or vote for it. That is something that only happens in dictatorships. The old adage “My country, right or wrong” does not extend to the government of the day. The loyalty of civil servants is ultimately to king and country rather than to any particular political party. In return for their service, the government is obliged to pay civil servants, from public funds, fair and adequate compensation (including pensions where applicable). Such compensation is not a bribe, a handout or a reward for loyalty but payment for services rendered. It is a straightforward contractual obligation between employer and employee. The question of being thankful or grateful to the government, therefore, does not arise and it is simply ludicrous to suggest that civil servants ought to be loyal to the government because it pays their salaries. It should also remembered that it is the public that pays the salaries of both the politicians they elect and the civil servants they appoint (through the Public Services Commission). Ultimately, both have an obligation to serve the people with integrity and dedication. The mandarins of the civil service do the country an enormous disservice when they behave as if the civil service is a mere appendage of the ruling party, or promote the idea that civil servants ought to support the ruling party at the polls out of loyalty and gratitude. By politicising the civil service, they not only set a poor example but seriously undermine the neutrality and integrity of a hallowed national institution. As for retired civil servants, I am sure they will continue to serve their country by speaking out and joining the debate to build that more perfect nation that we all want to see. Their loyalty to king and country demands nothing less. DENNIS IGNATIUS is a former ambassador. He blogs at http://www.dennisignatius.com. Posted in Character and Integrity, Ethics, Governance, Malaysia, Meritocracy and Competence, Public Accountability, Rule of Law, True Grit.